Research by leading experts shows that the body and mind undergo significant changes while soaking in warm water and that these changes can be greatly beneficial to health and wellness. Tourists explore one of the great Roman baths. For thousands of years it has been understood that soaking in hot water provides health benefits and helps individuals achieve a greater sense of well-being. The Romans and various other cultures discovered that soaking in warm mineral springs seemed to soothe and rejuvenate the body and mind. It just wasn’t known exactly why warm water immersion in hot springs, hot tubs, and jetted tubs provided these benefits. 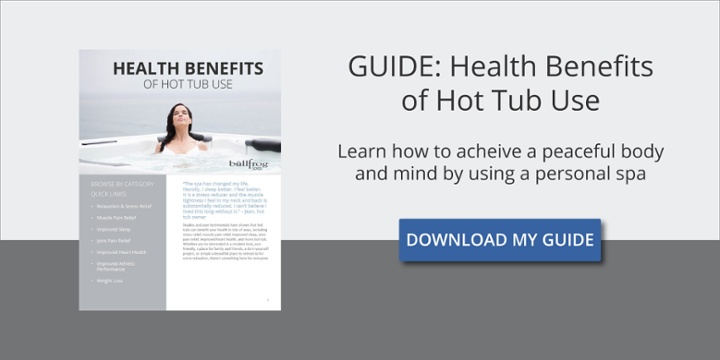 More recently researchers and physicians have set out to scientifically uncover the physiological effects of warm water on the individual and why it just feels so good to relax in a hot tub or bath. Results of their studies now show empirically that soaking in hot water does your body good. Warm water immersion research is ongoing but the studies by Dr. Becker and ASMI finished to date show many impressive and beneficial health results from soaking in warm water. This ongoing research should continue to provide medical and therapy professionals the information required to provide warm water treatments that will ultimately benefit patients in recovery and therapy situations. For the average person this research seems to show that soaking in hot tubs, spas, and warm baths can lead to better mood, increased cardiovascular health, pain relief, lower blood pressure, better mental and emotional health, along with a sense of balance and overall wellness. These studies are producing scientific confirmation that the soothing feelings experienced for years during warm water therapy in warm springs, hot tubs, mineral spas, and warm baths feel good because they actually are doing good things for our bodies and minds. This is part 1 of a 7 part series. Part 2 explains the nervous system health benefits of hot tub therapy.